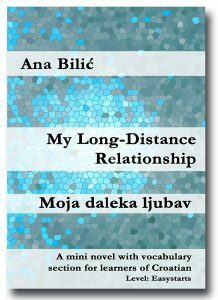 Easystarts: Learners who can use Croatian actively in the present tense. Sofija and Denis have a long-distance relationship. The way to each other is long – Sofija lives in Dubrovnik and Denis lives in Hamburg. Their messages via email sometimes happen to be interpreted not as desired. Yet Sofija and Denis do not let themselves be misled by the digital post and handle their communication challenges with charm and perseverance. A simple and cheerful love story.